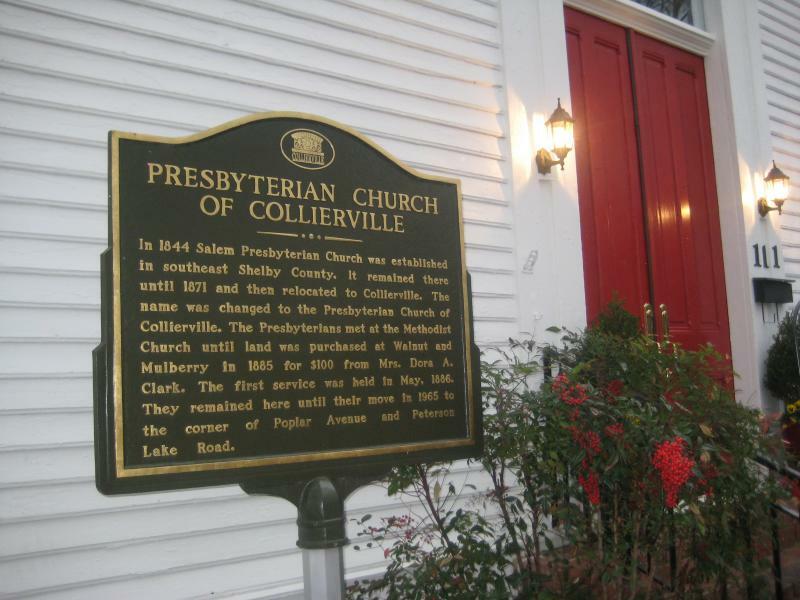 This beautiful old church building (built in 1886) just off the historic Collierville Town Square is perfect for your wedding, wedding reception, anniversary party, birthday party, rehearsal dinner, shower or other event. The lovely stained glass windows and original hardwood floors add to the charm of the building and the elegance of your event. We offer shower packages starting at $550, birthday and anniversary party packages starting at $650, and wedding reception packages starting at $1000. * Prices listed are BEFORE sales tax and gratuity. 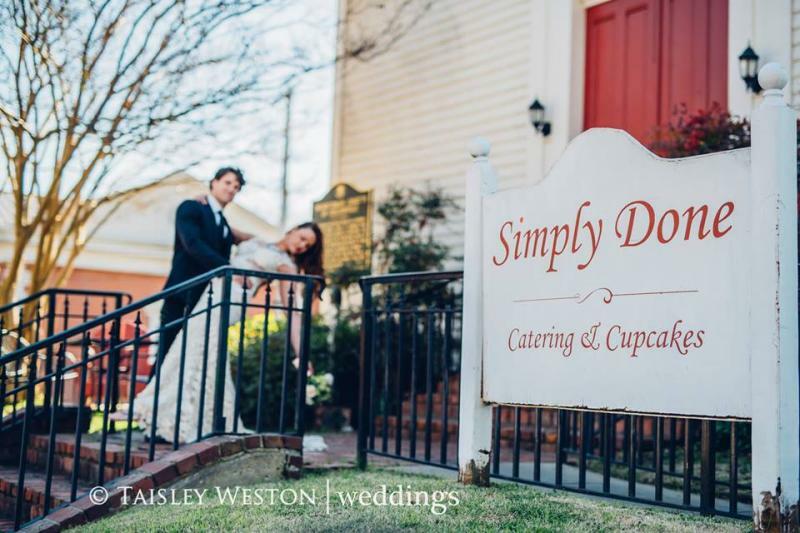 Simply Done is a great place to have your rehearsal dinner, bridesmaid luncheons, morning-after-the-wedding brunches and other events. We also offer complete wedding packages starting as low as $1950. 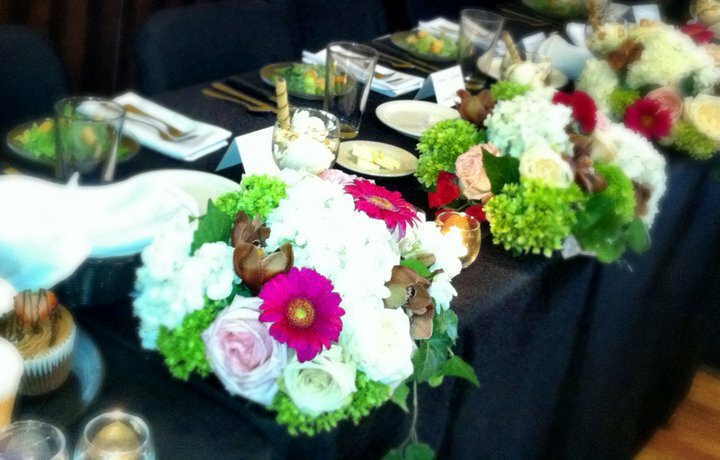 We can take care of as little or much of the details as you want - food, cake, bartender, flowers, photographer. All you have to do is show up. 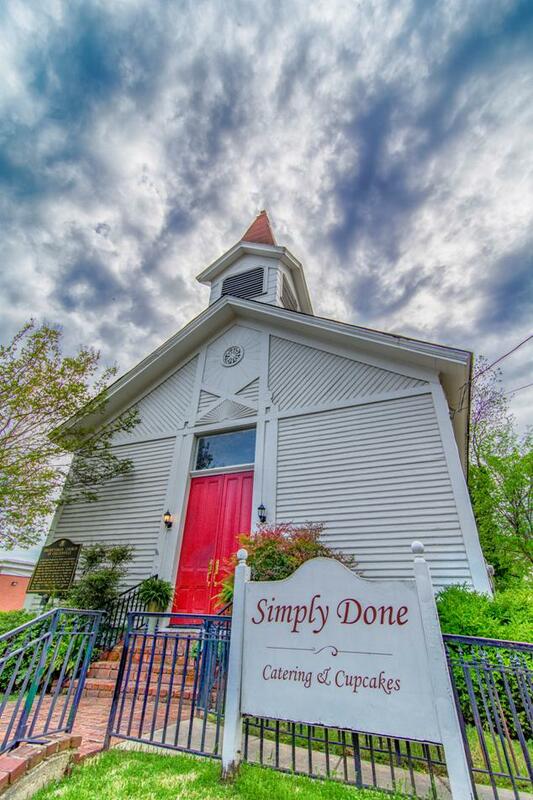 Whether you want to take advantage of the quaint charm of this historic church for your ceremony or have the ceremony in the lovely gazebo in the middle of town square and celebrate with the reception at our venue, we can help make your perfect day absolutely wonderful. 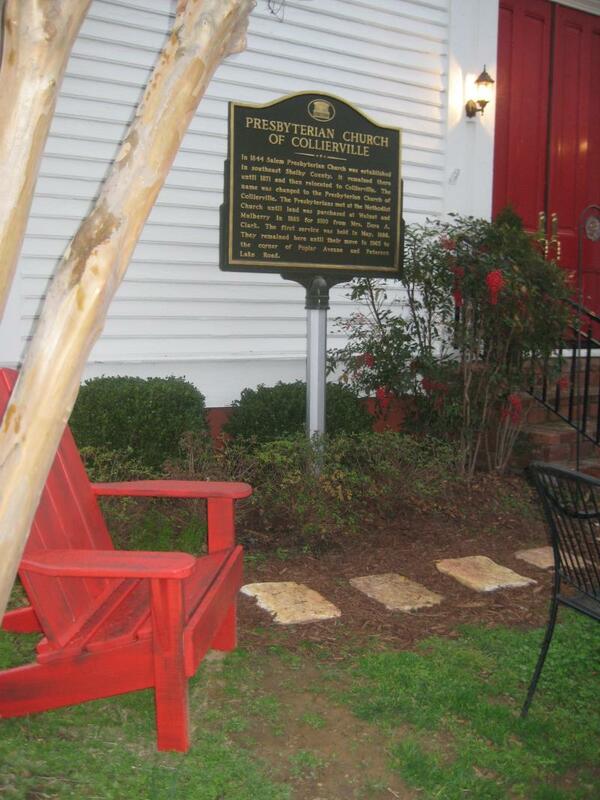 Please note the gazebo is owned by the Town of Collierville and rental prices for the gazebo are set by the town and are NOT a part of our packages. 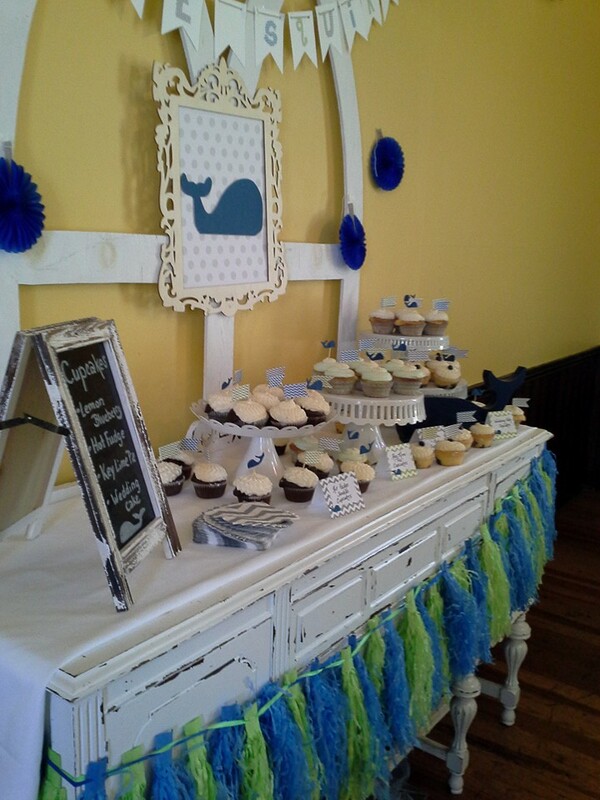 All of our package prices include use of our beautiful facility, tables, chairs linens, delicious food and great service.